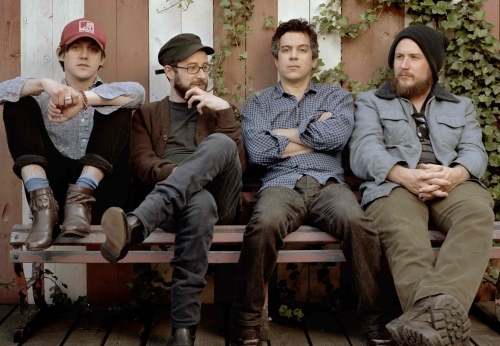 Monsters of Folk was born on the road five years ago when My Morning Jacket’s Jim James, Bright Eyes’ Conor Oberst and Mike Mogis, and singer/songwriter M. Ward toured together and regularly sat in on each other’s sets. Now armed with the eclectic and consistently striking songs that make up their debut album, the illustrious quartet will reconvene for a Fall tour. The four members will be switching instruments and trading roles throughout each show, maintaining the freewheeling and highly collaborative spirit of their work together thus far. On this inaugural tour, Monsters of Folk is partnering with Air Traffic Control, a resource for musicians’ philanthropic and social change work, to donate monies raised from ticket sales. The band will be donating $1 from every ticket sold on the tour to local non-profits. Pre-sale tickets for the US and Canada shows will be available beginning Tuesday, July 28, followed by the public on-sale beginning Friday, July 31. Tickets for the UK / EU shows will be available beginning Tuesday, July 27. For more info please visit www.monstersoffolk.com. For a complete list of charities and for more information on Air Traffic Control, please visit www.atctower.net.